Hydropower major Satluj Jal Vidyut Nigam Ltd (SJVN) announced an increased dividend of Rs.397.12 crore against Rs.388.84 crore paid in the last financial year. SJVNL has announced an increase of Rs.8.28 crore over last fiscal. SJVNL is a joint venture of the government of India and the Himachal Pradesh government and has more than 100,000 retail shareholders. 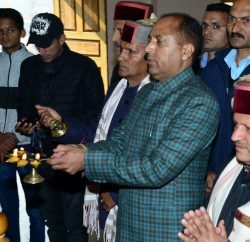 From the dividend, the government of India would get Rs.256.02 crore, while the Himachal government would get Rs.101.27 crore and the retail shareholders Rs.39.83 crore. 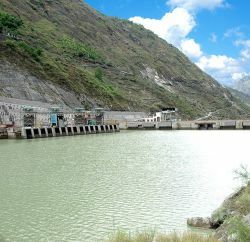 SJVN Ltd. is presently implementing 10 hydroelectric projects in the states of Himachal Pradesh, Uttrakhand, Nepal and Bhutan. SJVN is now also venturing in the field of Thermal and Wind Power Generation also. SJVN has expanded its horizons and envisions developing itself into a fully-diversified Transnational Power Company in all types of conventional and non-conventional forms of energy. SJVN present installed capacity is 1500 MW. The capacity addition under execution by the Corporation during the forthcoming five year plan is 4952 MW (412 MW Rampur HEP in H.P. and 47.6 MW Khirvire Wind Power project in Maharashtra under construction and 4492 MW under various stages of investigations/clearances). After achieving success in hydro power development SJVN is now venturing in the field of Power Generation through Wind. Bhoomi Poojan for the Company’s upcoming 47.6 MW Wind Power project was performed at village Khirvire, Distt. Ahmednagar in Maharashtra on 7th Dec. 2012. SJVN is also venturing into Thermal Power generation. Government of Bihar has allotted 1320 MW Buxar Thermal Power Project in Chausa to SJVN. 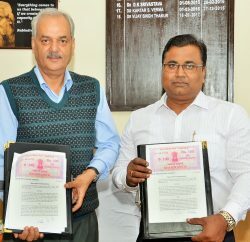 An MoU in this regard was signed on 17th January 2013.